Holy day of darkness. 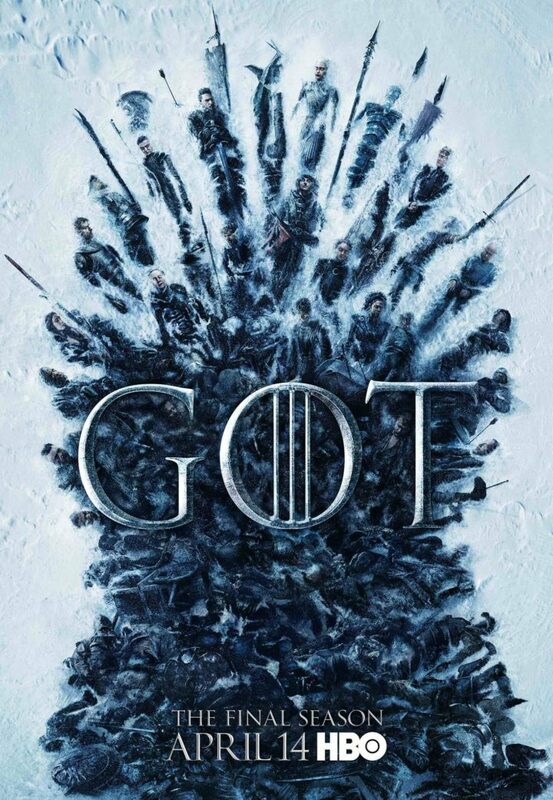 I don’t know about you, but I can’t get Avengers Endgame tickets at my local AMC theater, and in the middle of a couple of hours of frustration with that, Game of Thrones dropped this Season 8 “Aftermath” trailer. It’s chills-worthy. There are no people, no signs of life, and there’s nothing but cold winter darkness … or is there? 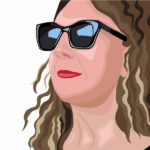 Check it out, and then we’ll take a closer look. Following the Stark banner waving (triumphantly?) 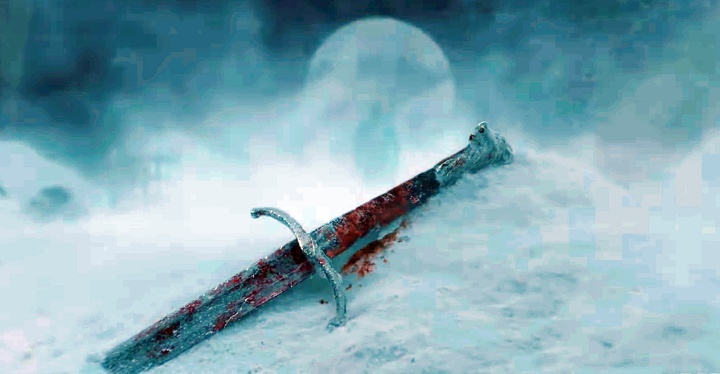 over Winterfell, there are a series of images with little clues to winter’s destruction. Maybe I’m crazy, but that looks like a wight hand holding (or having been pierced by) an arrow. I want to believe this hooded figure is Sansa. Jaime’s golden hand and Dany’s chain. Lyanna’s feather, and wheels from Bran’s chair. 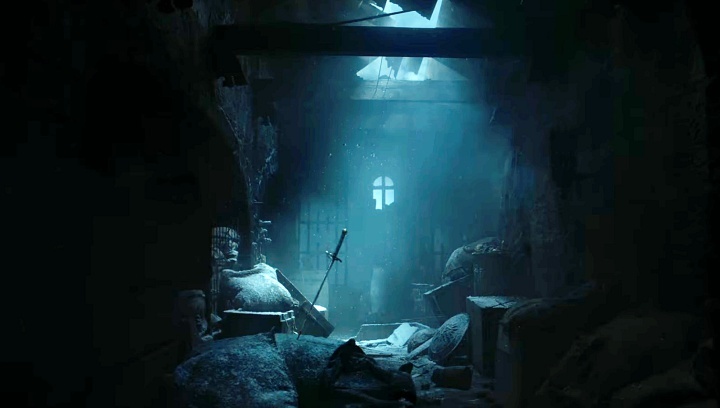 Longclaw, and in the archway, a shadow that everyone is assuming is the Night King. I’m starting to buy into the theories about Bran warging into the Nigh King and thus, I think that will be the reveal when we actually see the (related) full footage. Does this mean the owners of the items all are dead? Twelve days … twelve days until death and winter come for them. Game of Thrones returns to HBO April 14th. 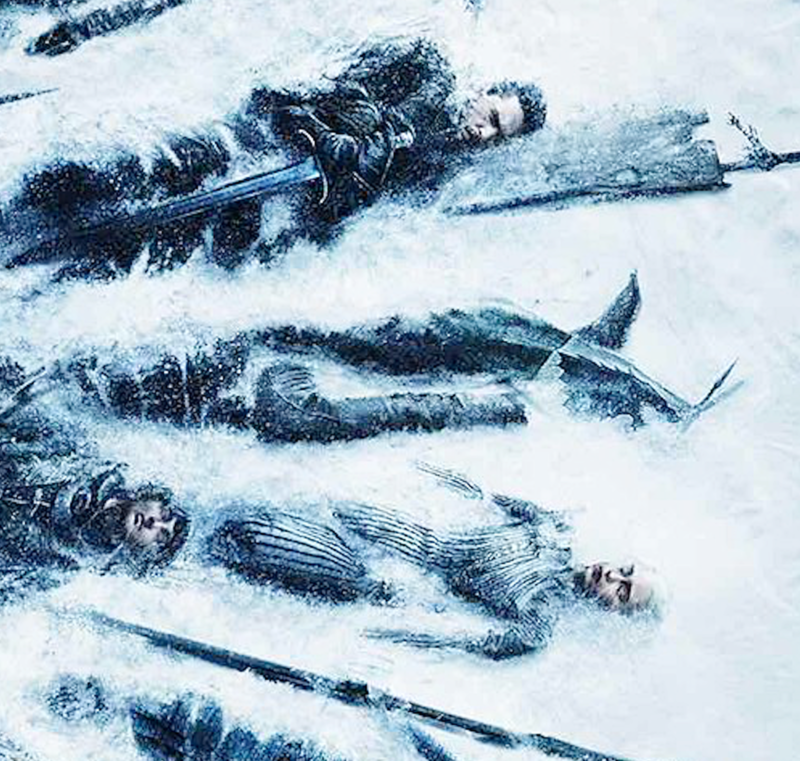 I really want to know who that is in between Dany and Jon. With a bit of cropping and enlarging, then flipping that image on its side, it looks like an upside-down body, with a banner over one foot.